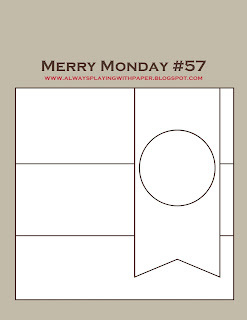 was chosen as the Top Pick for the Merry Monday challenge, and that meant I was asked to be the Guest Designer for this weeks Merry Monday challenge. As someone who adores Christmas and makes Christmas cards throughout the year I'm ecstatic at the chance to join in as Guest Designer! Lesley has a great sketch for us this week and here is my take on it. The Cherry Cobbler Dazzling Details was still wet when I took the photo and now that its dry it looks really nice, it gives the background paper a nice 'pop'. I also added some clear Dazzling Details to some of the snowflakes on the the main image panel. I did paper piercing around the edges to help define the sections and give the eye a little something extra to take in and used a white gel pen to add some faux stitching. 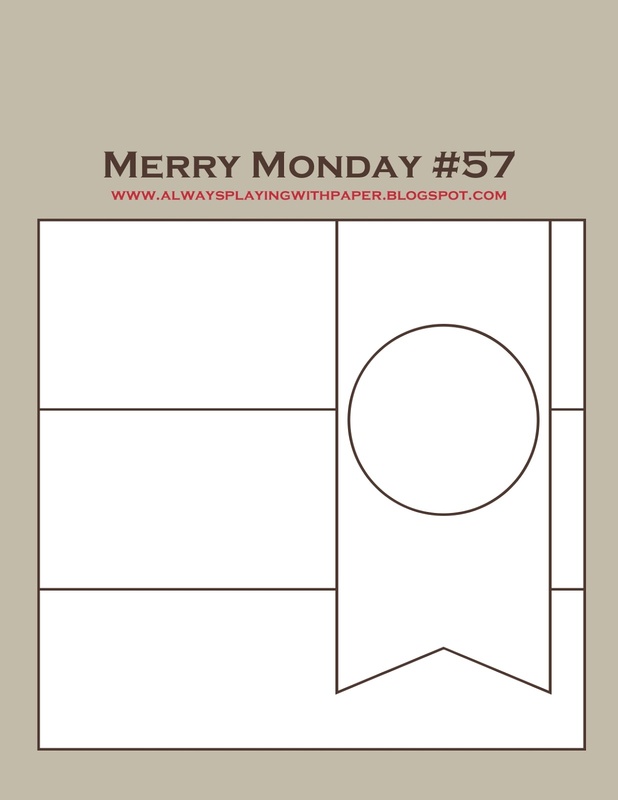 Head on over to the Merry Monday challenge and check out the great inspiration from the design team and make sure you play along! Only 260 days until Christmas! I'd like to thank Lesley and the Merry Monday crew for having me join them today, its a thrill for me! As always Lisa I love your card both inside and out. The colors are perfect as is that sweet image. I was so happy to see you as our guest designer this week. Congrats and welcome to Merry Monday. Absolutely adorable...I love that little bird and the colors are some of my favorites! In fact, I have a little of this paper left and I am HOARDING it!!! Congrats on your win and being our GD this week! Hooray Lisa! 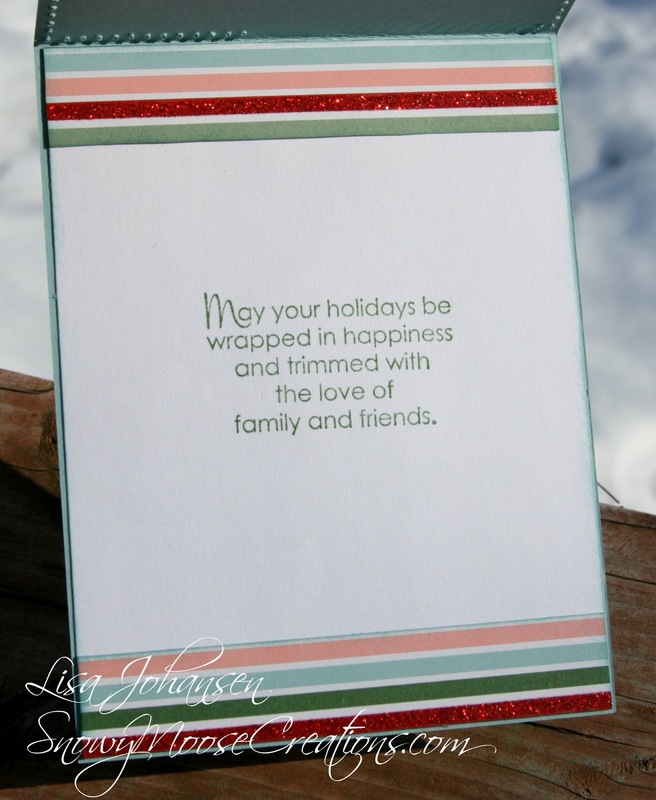 So happy to have you join us and share this "tweet" card! Those papers were my favourite and they look amazing with this stamp set! Gorgeous work! Congratulations on being this weeks GD! 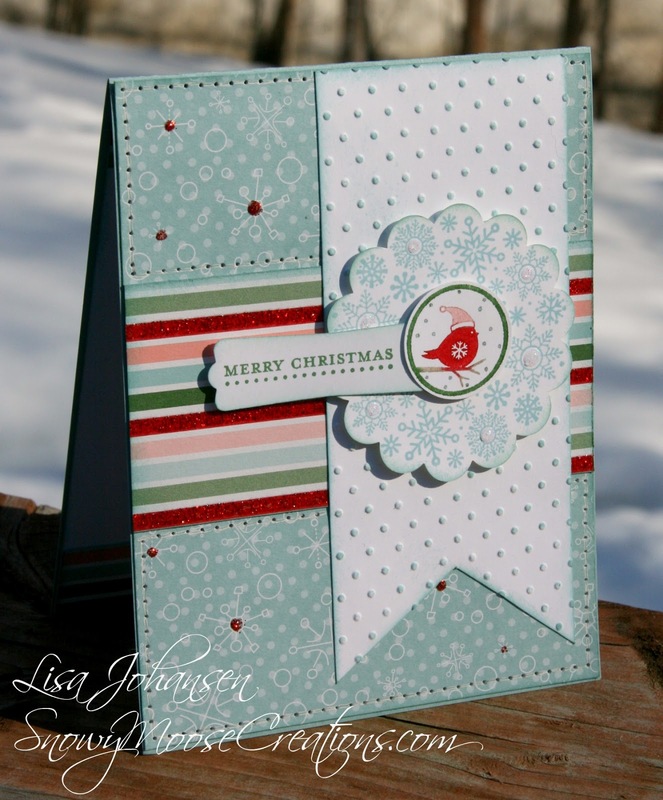 You've created another gorgeous card this week - I'm just loving those soft colours for Xmas! 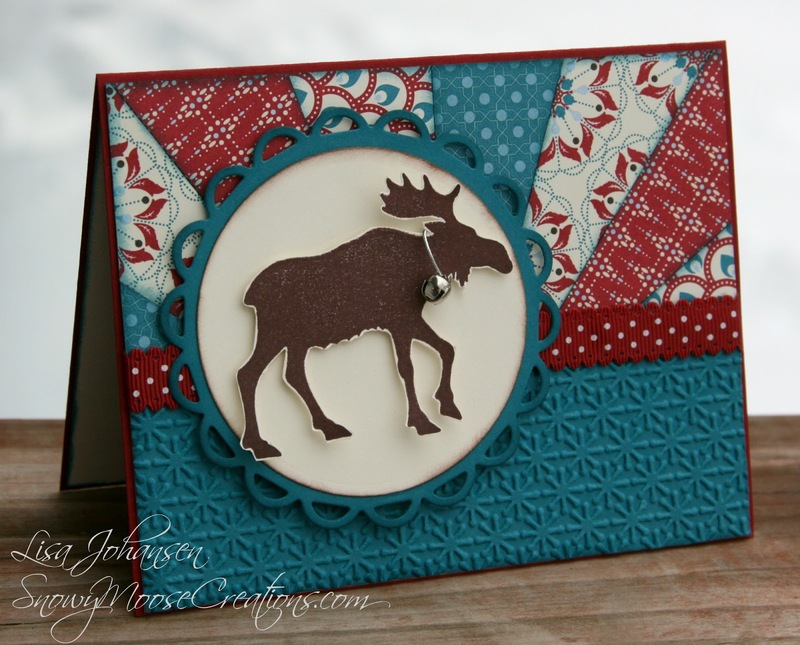 seriously love your moose card! What a fun card for this week..those colors are wonderful and love the sweet bird! Very cute card, I love the papers you used and your little bird is adorable. Another fabulous Christmas card, Lisa! You did a wonderful job with this week's sketch and I adore that paper! Congrats on being our Guest Designer this week! 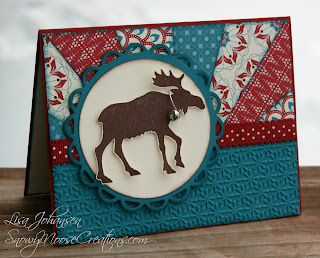 Your moose card was awesome! Congrats on being GDT this week. Your card is beautiful...inside and out. And, your moose was awesome. A beautiful card, Lisa! Love the colors and the wonderful striped paper you used for the center band! Congrats on being Guest Designer this week!